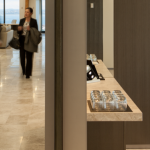 Honed marble walls and floor made a major contribution to the anchor tenants’ executive floors. Supply & installation of marble tiles & panels where appointed throughout the common-area, floors the lift core walls & for the walls & floors of the bathrooms. 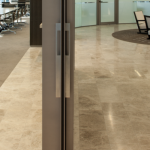 A selected sapphire silver grey marble was sourced from turkey chosen for its warmth, opulent appeal. 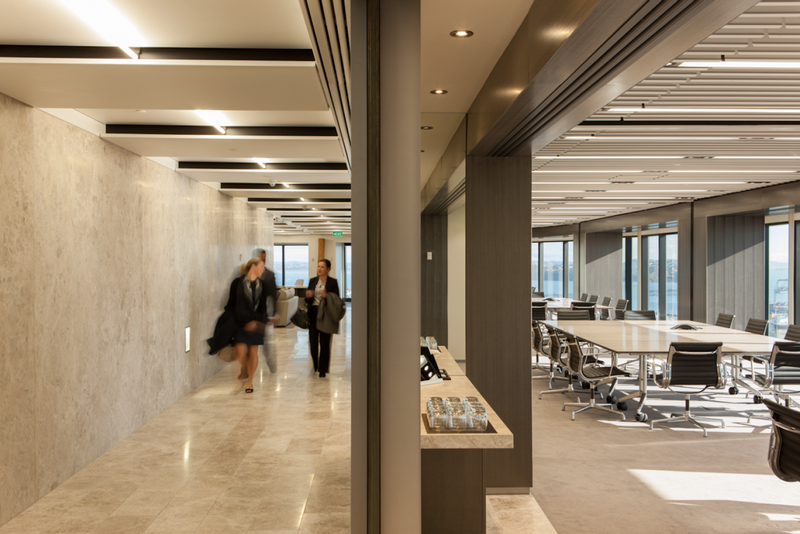 Walls were specified in unusually large formats 2.6m x 1.2 slabs. Hardwearing porcelain & ceramic tiles were introduced on most of the other floors of the tower including 19 of the 22 of the ANZ tenancy.